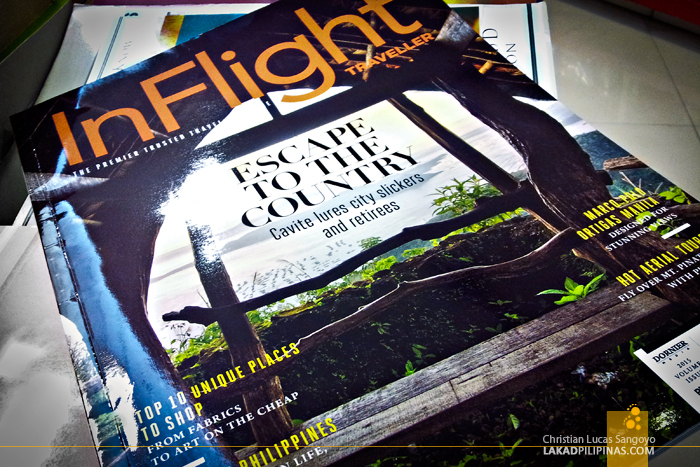 One of my photos from Tagaytay City graced the cover of this month’s InFlight Traveller magazine and the the header for their Archipelago website. The cover story, titled Escape to the Country, written by Monica De Leon, discusses the flight of people from the city and into the slower-paced life of the metro’s outskirts. The image, which frames the famed Taal Volcano on a cogon hut, was taken one early morning a few years ago when I still frequent Tagaytay City on an almost monthly basis. These were during the times when I still held a day job (or night, if you must) and trips to far-flung places were few and far between. We’d usually stay overnight and bunk at one of the inns near the Magallanes ridge where most of the restaurants are located. Being the obsessive photographer I was back then, I’d usually wake up before the sun breaks the horizon and find a spot to capture it. 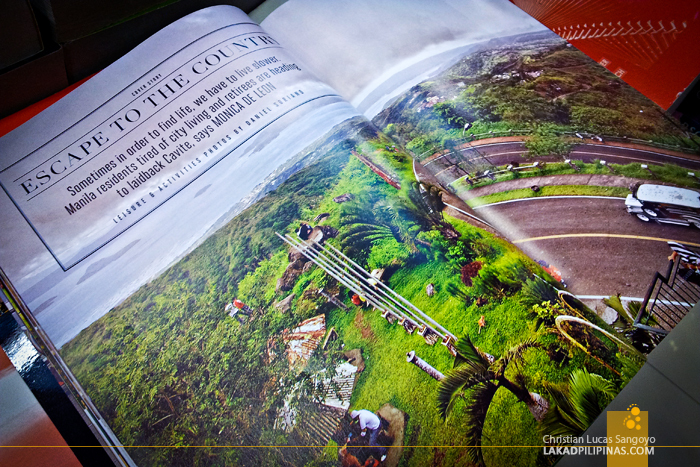 Leslie’s Tagaytay, one of the old-timers in the area, became my haunting ground that particular morning; finding the quaint mostly unused huts at the back of the restaurant to frame the volcano on the lake. And being overzealous (and keeping a very organized image library) does pay off. 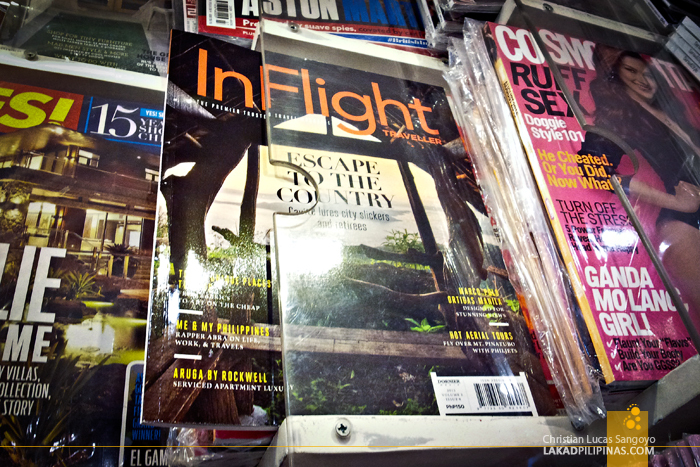 This is my third cover photo for InFlight Traveller and my overall fifth for printed publications. So there, three cheers for waking up while everybody’s still sleeping and braving the inevitable barking dogs that would block the way from your photographs. Very interesting post! 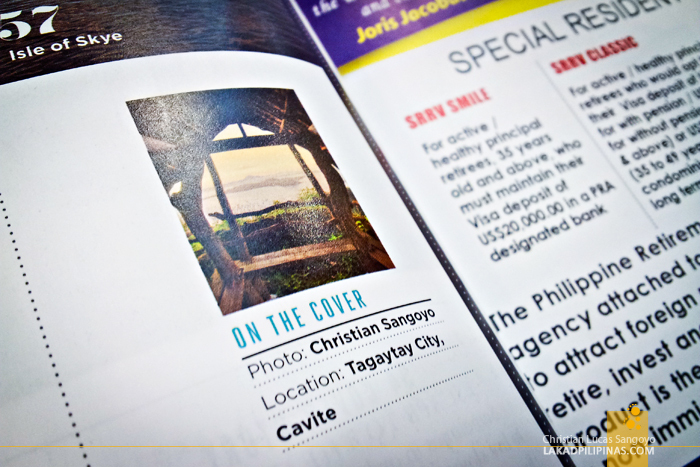 I just want to ask if you have a list of the best Tagaytay hotels and resorts?